*Disclaimer: I received this wine as a sample from Bonny Doon Winery. With the weather finally turning to spring here (perhaps?) my thoughts have turned to white wines and (even more) bubbly. 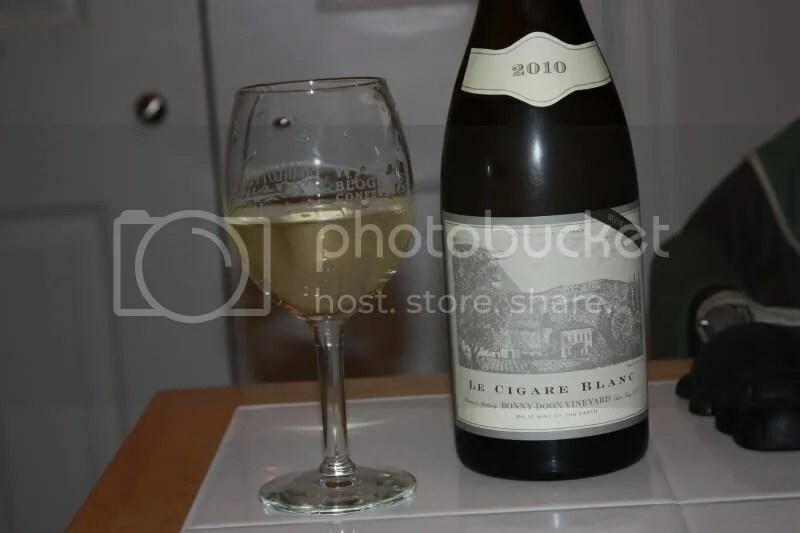 Keeping that in mind when I dove into the cellar for something to drink the other night, I popped up with the 2011 Bonny Doon Le Cigare Blanc. I previously reviewed the 2010 vintage here. The current vintage is a bit more Grenache Blanc heavy, at 62% with the remainder being Roussanne. Last vintage was only 55% Grenache Blanc. The wine has a screw cap closure, clocks in at 12.5% alcohol by volume, and retails for $28. 1.) 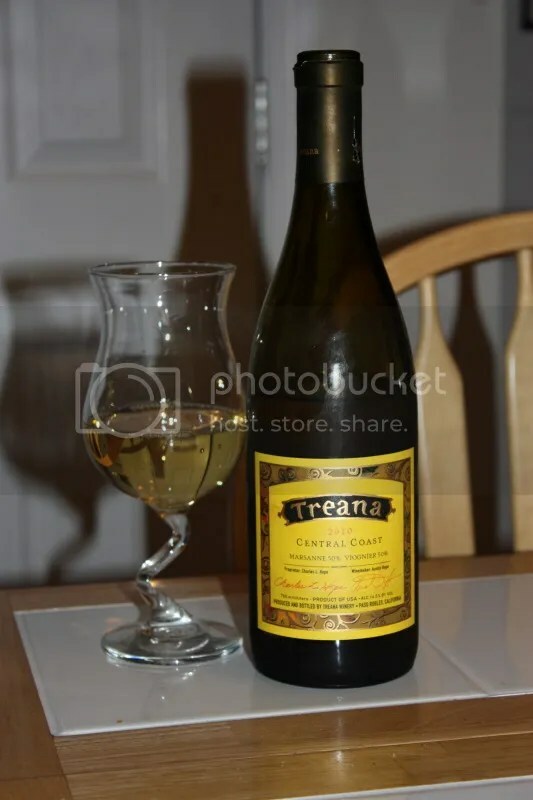 While the Roussanne still made its presence known with the mouthfeel and the viscosity, it felt less dominant to me in this vintage. 2.) 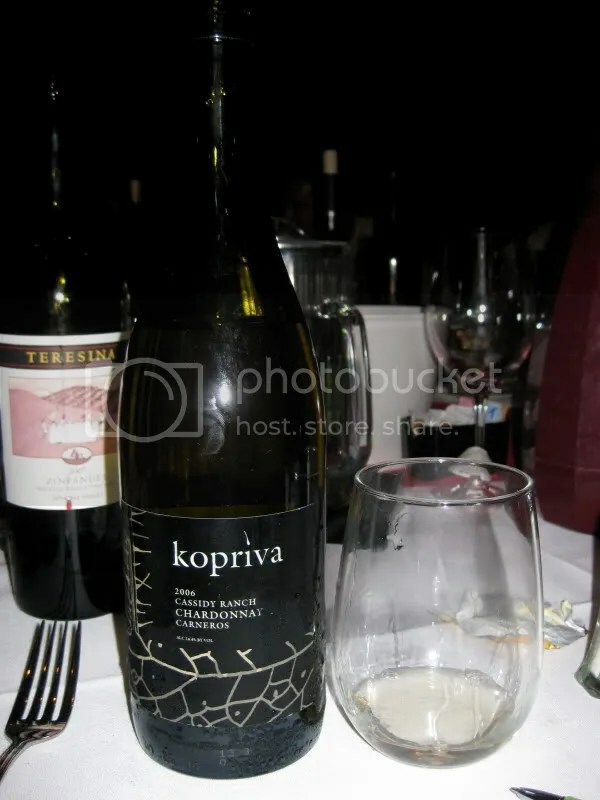 I imagined myself eating crab with this wine, which we often indulge in during the spring and summer months. 3.) Or simply sipping it on one of those delightful spring nights where it is still cool enough to rock on the front porch. 4.) Overall, I’ve been mightily impressed with the quality of the wine coming out of Bonny Doon. On the nose I got yellow apple, melon, pear, lemon, orange zest, flowers, mineral notes, and slight honey. In the mouth I found green apple, lemon, pear, and grapefruit. The wine had a lovely mouthfeel with a slight viscosity and a long finish. *Disclaimer: I received this wine as a sample from the PR folks for the winery. Marsanne and Rousanne that is. This wine is an equal blend of the 2 grapes. It hails from the team at Hope Family Wines out of Paso Robles. We pulled this from the cellar to drink with roast chicken the other night. I’m not making a turkey before Thanksgiving and I wanted to give it a run with poultry to assess it as a potential Turkey Day wine. 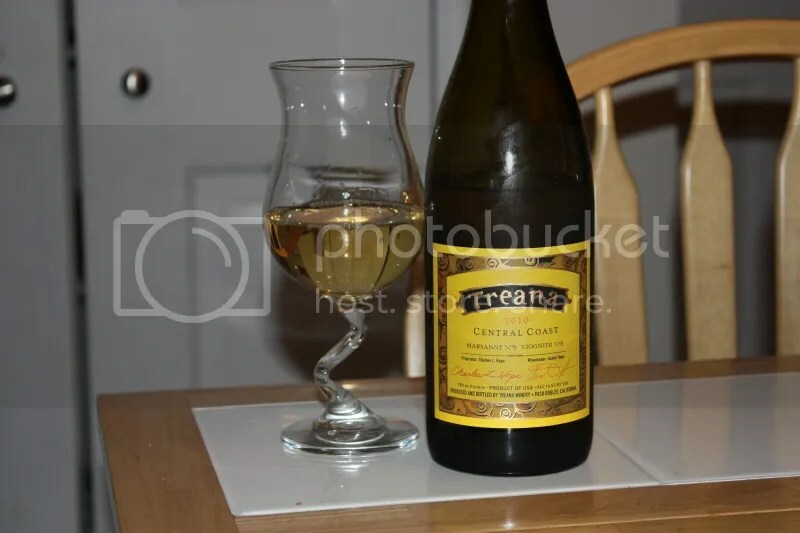 The 2010 Treana White retails for $23, has a real cork closure, and clocks in at 14.5% alcohol by volume. 2.) Being serious, the flavors and structure of this wine, combined with the “oily” nature of the grapes would make it a great contender to stand up to the array of foods served at your Thanksgiving celebration. 3.) I was really surprised by the depth of flavors in this wine. 4.) I’ve been enjoying all the wines coming from Hope Family Wines I’ve had lately. On the nose I got pear, cream, orange, honeysuckle, and stone fruit. I found that I could smell the oily nature of the grapes on the nose, along with the round fruit flavors to come. 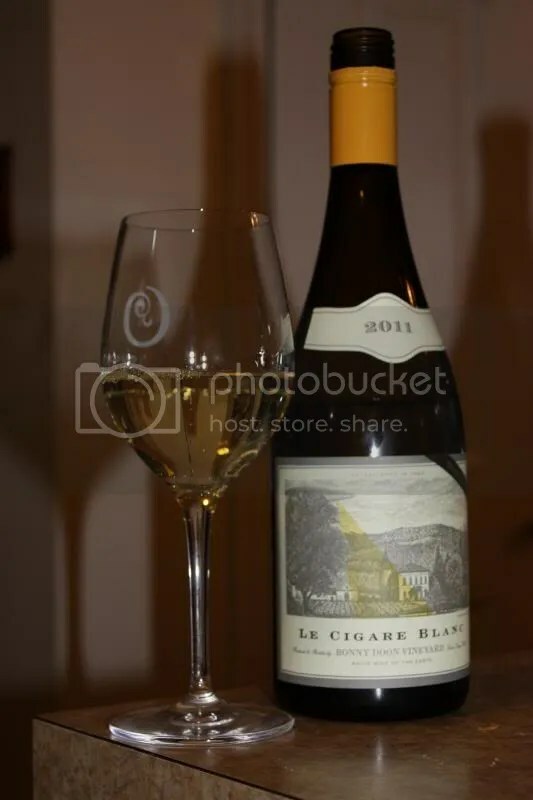 In the mouth I found pear, peach, stone fruit, tropical notes, honey, flowers, and melon. 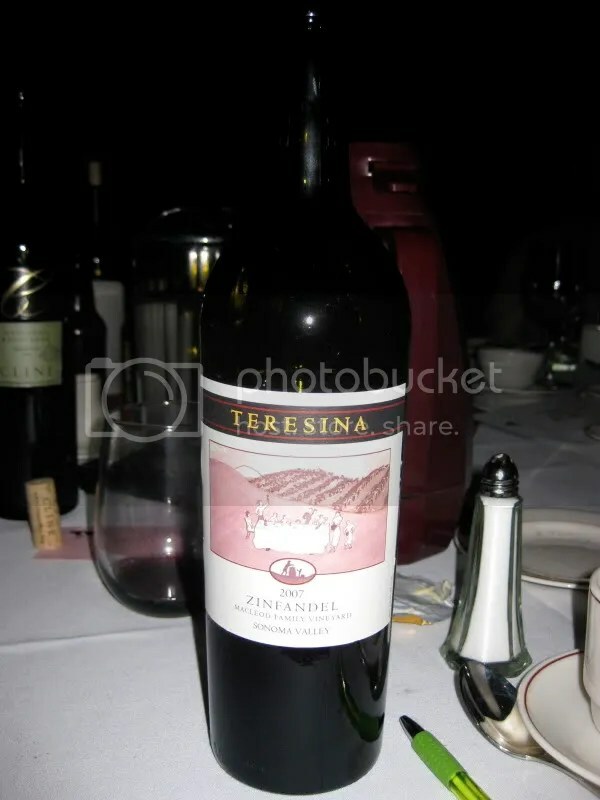 The wine had a lot of weight on the palate, along with the oily quality I noted earlier and the round fruit flavors. *Disclaimer: I received this wine as a sample from Big House Wines. I already used the pun “In the Big House”……and I thought cutesy labels needed cutesy post titles. Not sure I got there this time, but hey, I tried. My first experience with the Big House Wines was the Red a couple weeks ago. I wasn’t such a big fan, so I didn’t really know what to expect from any of the other wines. 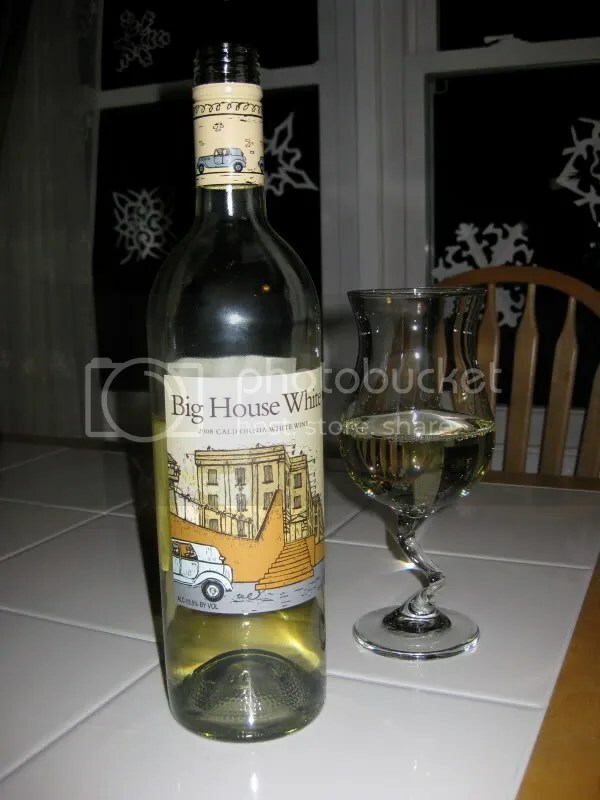 I must say, I found the 2008 Big House White to be pleasantly surprising. 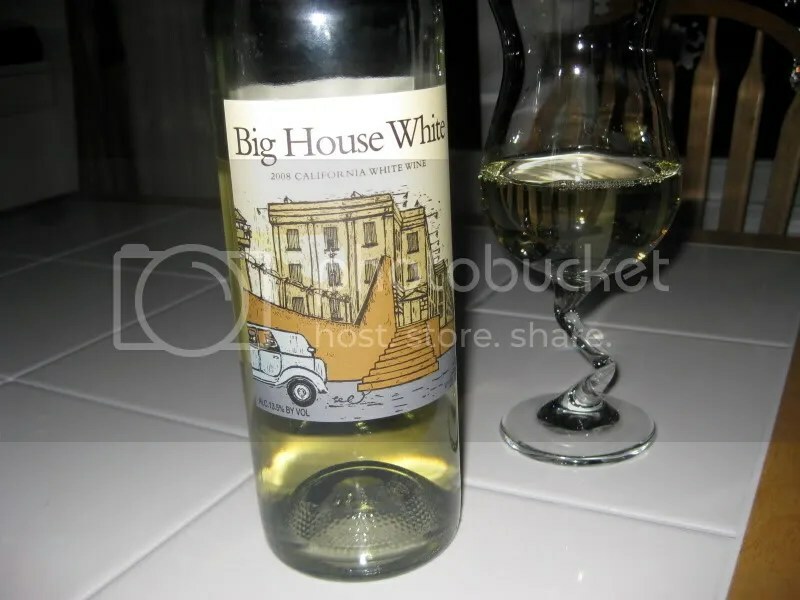 Big House white is a blend of 56% Malvasia Bianca, 22% Muscat Canelli, 18% Viognier and 4% Rousanne. This would be a good one to cheaply knock out some Century Club grapes if you are just starting your quest! It clocked in a 13.5% alcohol by volume, had a screw cap, and retails for $7. I thought this wine smelled a lot like Gewurztraminer. I think that was probably from the Muscat, but I’m not sure. I got flowers, lychee, tropical notes, and spice on the nose. I found it to be very perfumed. In the mouth I found sweet peach, pear, melon, and lots of white flowers. This was mostly all melon in the mouth. I found it refreshing and pretty interesting for the $7 price tag. I’m super excited about this wine, not only because it tasted good and represented a great deal, but also because it knocked two more grapes off on the Century Club application for us! 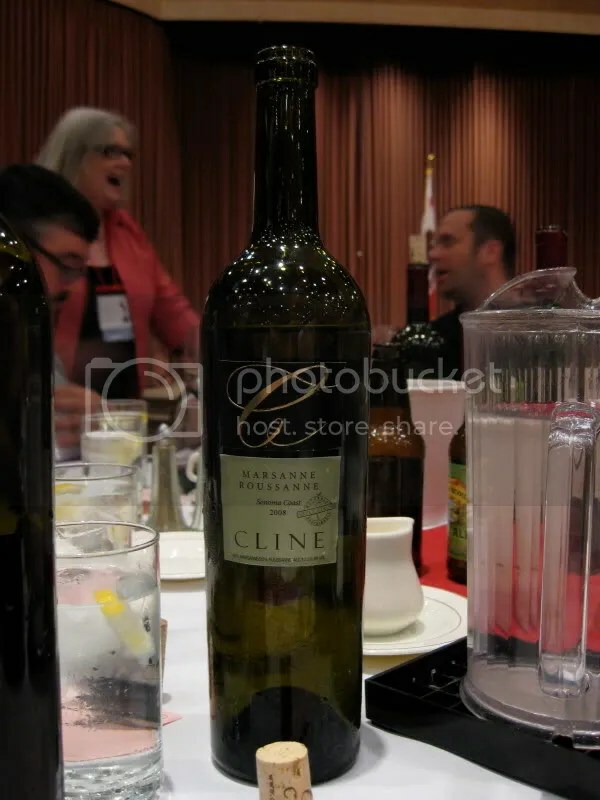 This wine provided grapes 86 and 87….only 13 more to go!! 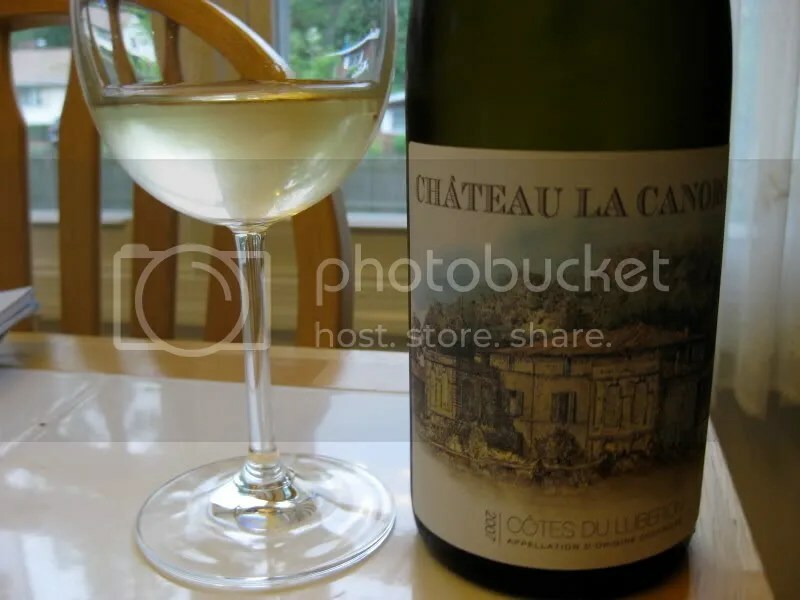 I purchased the 2007 Chateau la Canorgue Cotes du Luberon Blanc from the Domain547 for $18, it had a real cork closure, and clocked in at 13.5% alcohol by volume. It’s a White Rhone blend of Clairette (new grape! ), Bourboulenc (new grape!! ), Roussanne, and Marsanne. And it rocked. On the nose I got lots of flowers, tropical fruit, a cream note, apple, banana, lime, citrus, and tangerines. This is definitely one you should let warm up a bit. I stuck it in the fridge for about 15 minutes and it came out all muted…I had to warm it up in my hands. In the mouth I found citrus, lime, tropical fruit, apples, and star fruit. 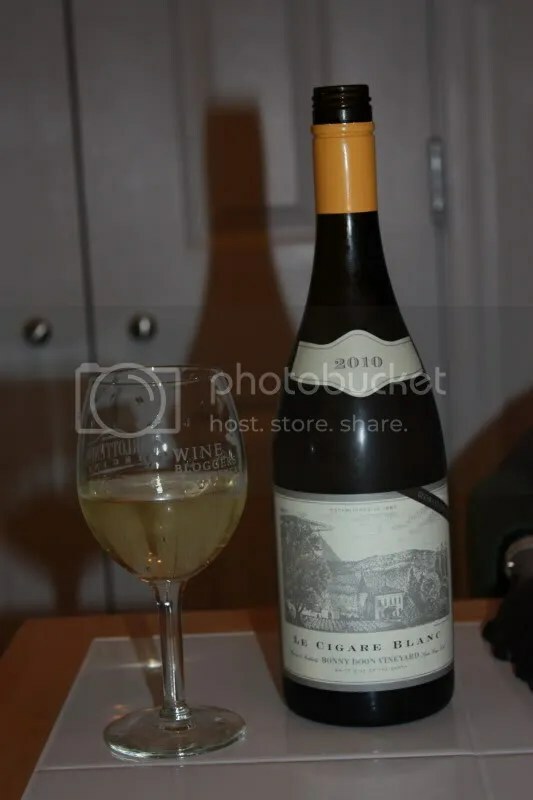 I wrote down that the wine “is calling out for crab legs.” Last night we drank it with some cheese crackers before a late evening dinner reservation and it worked well with those. 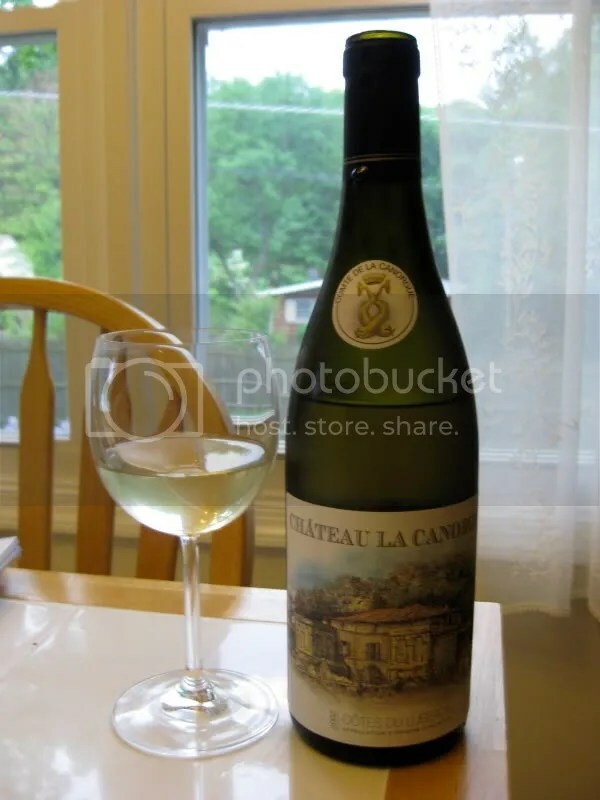 Overall, I found the wine to be crisp with a great mouthfeel that I associated with Marsanne and Roussanne. BWACK! Rubber Chickens on the Loose! Disclaimer: I received this wine as a sample from Twisted Oak Winery. 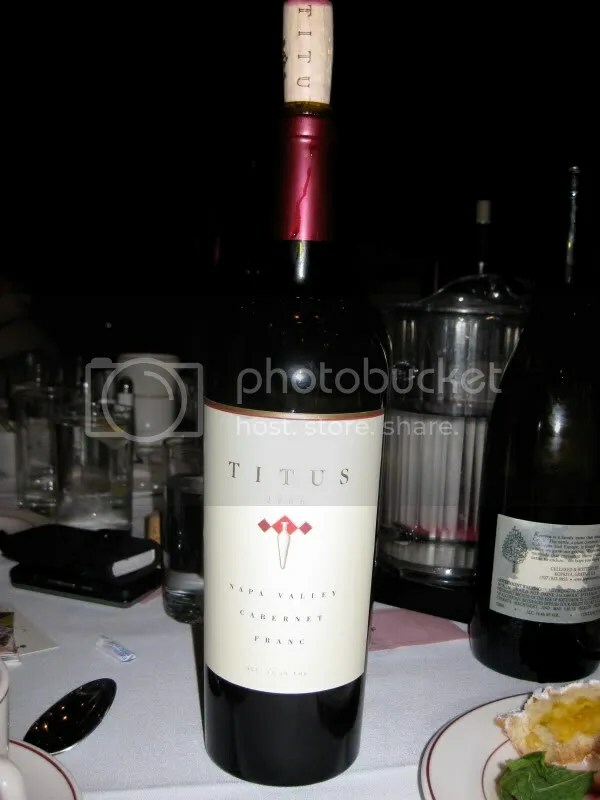 I think this wine should be called “Prince.” It’s been known as so many different things over the years….it used to be a %@#$! aka Potty Mouth White. (I reviewed the 2006 here.) This year, it is called the 2007 Twisted Oak Ruben’s Blend. Ruben is the Twisted Oak rubber chicken for the uninitiated! 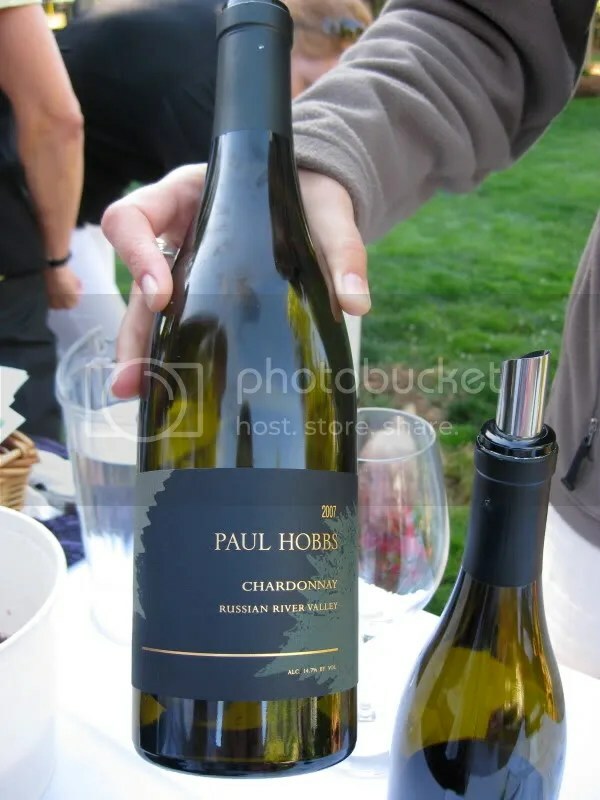 It’s a white Rhone style blend that has a real cork closure, clocks in at 13.1% alcohol by volume, and retails for $24. The blend is 46% Marsanne, 23% Roussanne, 21% Vermentino, and 10% Viognier. Right away I noted the gorgeous straw color. It also had great aromatics, I could smell the wine from over 2 feet away. I found pineapple, peach, pear, apple, stone fruit, candied apricot, and a slightly creamy note. A really enticing nose that makes you want to jump right into the glass. 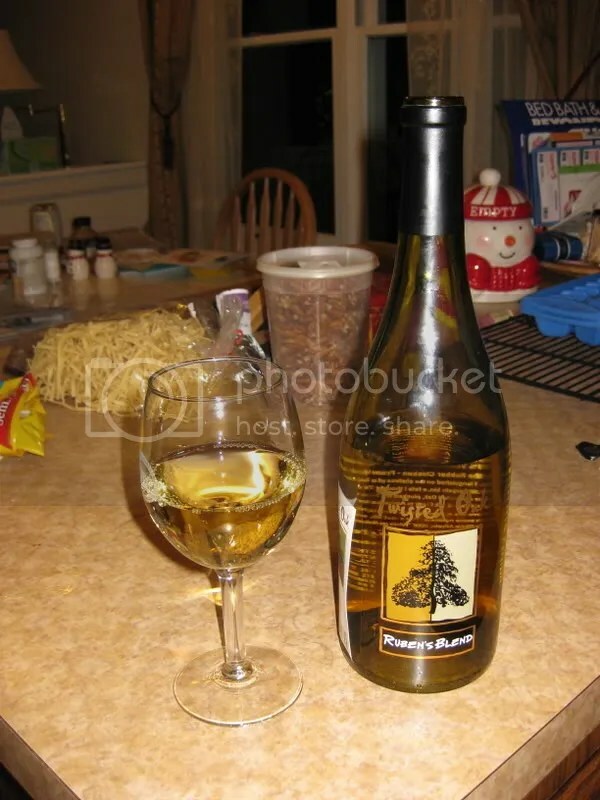 In the mouth I found a little oak, cream, apple, honey, pears, nuts, a hint of spice, pineapple, and spiced pear. Overall, I found the wine to be dry, and a bit viscous with a nice mouthfeel. It had great acidity and I imagine would be really good with a roast chicken. (No offense meant to Ruben and his brethren…) I like the 2007 even better than the 2006. Matt even gave it great praise saying it was his favorite Twisted Oak wine yet. 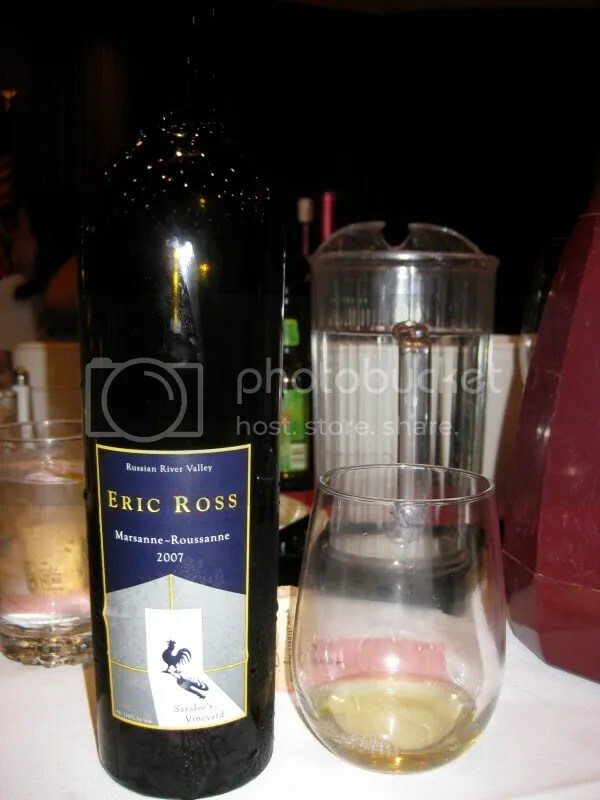 Filed under: California, Marsanne, Roussanne, Twisted Oak, Viognier, White, Wine |	Comments Off on BWACK! Rubber Chickens on the Loose!